On the shores of Fort Morgan, Alabama, last weekend, beachgoers stumbled upon a devastating reminder of just how much our litter is harming animals. It was a critically endangered Kemp’s ridley sea turtle — lying on her back next to a broken beach chair half submerged in sand. Someone had likely left the chair behind, and it had floated off into the ocean when the tide came in. Somewhere along the way, the turtle got caught in the chair’s strap and was strangled. 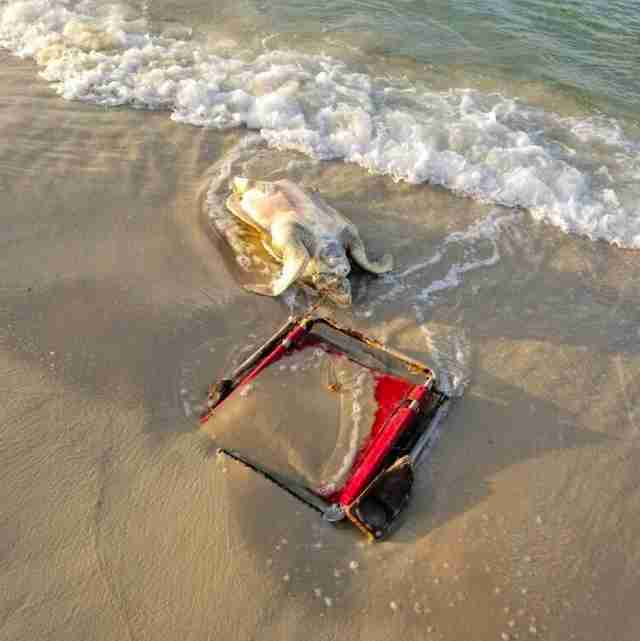 Photos of the deceased animal washed ashore were shared online by conservation group Fort Morgan Share the Beach. The group — which works locally to protect the turtles — was heartbroken. Unfortunately, this isn’t always the case — and it’s the animals who pay the price. While beach chairs may not seem to pose a big threat to animals, they can become a serious danger to sea turtles both in and out of the water. 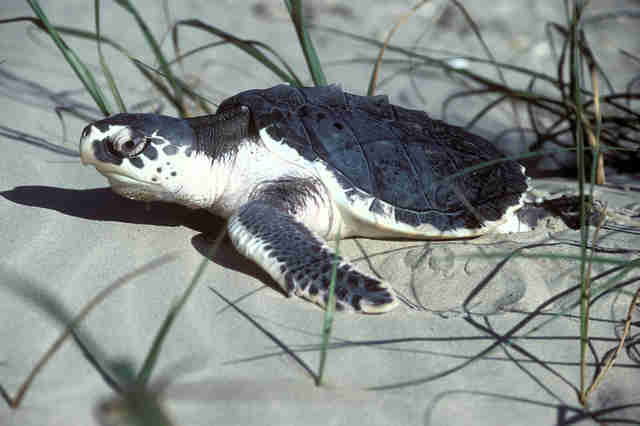 For Kemp’s ridley sea turtles, every life lost is so significant. There are only around 1,000 left in the wild today, mainly due to habitat loss, illegal hunting and pollution. Residents can only hope that by sharing these photos, they can encourage people to never leave anything behind on the beach. To help protect sea turtles, you can make a donation to Sea Turtle Conservancy. You can also make a personal pledge to pick up litter whenever you see it on the beach.